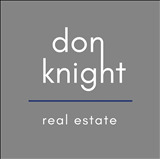 For over two decades, Don Knight has been one of the most recognized and respected names in Silicon Valley Real Estate!! Early in his career, he established a reputation for negotiating some of Silicon Valley's most sought after residential real estate. Don's approach to real estate is both confident and professional. "Accountability, Detail, and Commitment are three of the most important qualities in an Agent" says Don. "Starting each day with the end result in mind will keep you in the correct mindset to stay on track", Don tells the new agents that he mentors. His teachings inspire agents all around the country to have a more balanced and healthy life. © 2019 MLSListings Inc. All rights reserved. Updated Apr 22, 2019 5:05:pm. Information deemed to be reliable but not guaranteed. The data relating to real estate for sale on this website comes in part from the Internet Data Exchange Program of the MLSListingsTM MLS.